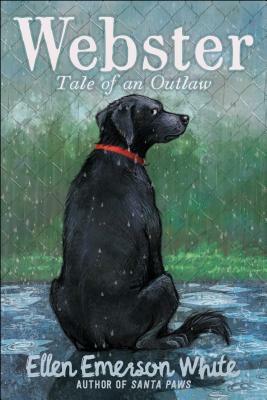 A cynical shelter dog learns to let down his guard and form a new animal family in this heartwarming and humorous friendship story from the author of Santa Paws. Webster is too cool to be scared. Or alarmed. Or even a tiny bit nervous. So what if no one will adopt him? He’s had it with people anyway. He’s going to be a loner. Not going to get too comfortable in this new shelter, even if the home-baked treats are good. Not going to get used to the nice soft bed. Not going to make friends, no matter how much he kind of likes Jack the Terrier and even Florence the bossy cat. Nope, he doesn’t need friends. Acquaintances are just fine. And the first chance he gets, he’s hitting the road and living life on the range, just like one of the stoic cowboys he’s decided to model himself after. But sometimes the best-laid plans (even those of a dog’s) have a way of backfiring. Will a tough pup like Webster find a home and family after all? Ellen Emerson White lives in New York City. She is wicked private.